An installation by artists Misha Bolstad and Kathleen Hawkes of over 4,500 flowers constructed out of paper is paired with algorithm-generated poppy works by mathematician and artist Karl Kattchee. Together these works raise questions of excess, overgrowth and formulation. Thousands of Poppies, Misha Bolstad and Kathleen Hawkes, 2016. 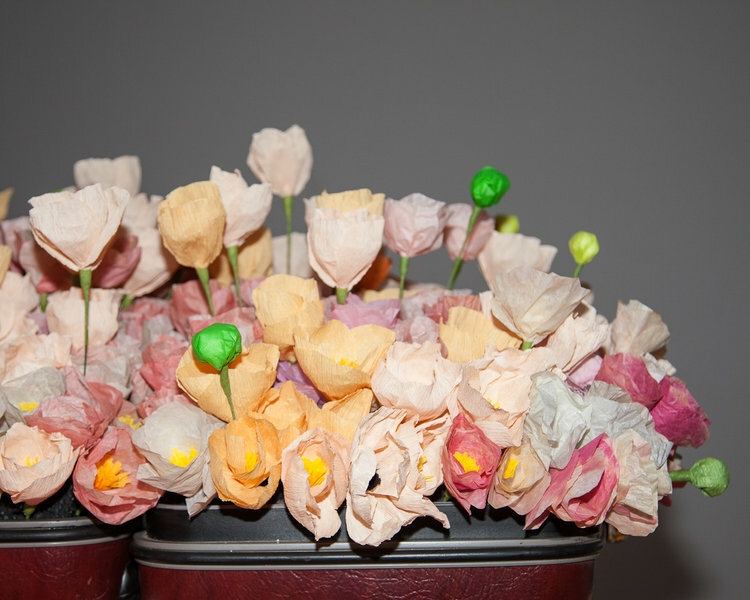 Handmade tissue paper poppies are contained in suitcases and other found domestic vessels. This piece explores ideas of excess and obsession, possible environmental futures, liminality and dream-states.